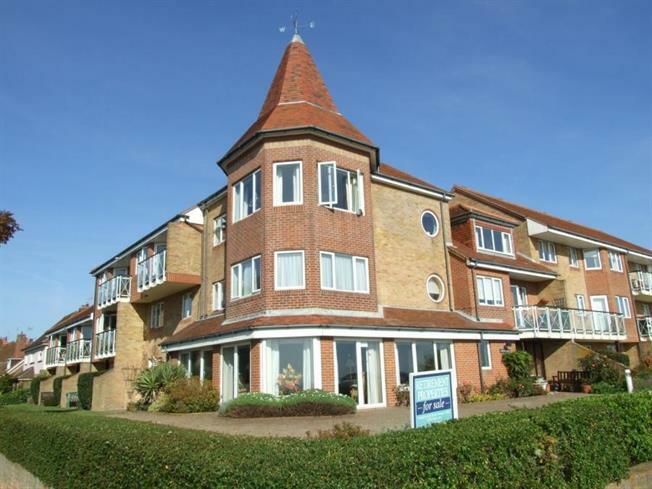 1 Bedroom Ground Floor Flat For Sale in Frinton-on-Sea for £127,500. PRICED TO SELL We are pleased to offer this one bedroom retirement flat with accommodation comprising one bedroom, lounge, kitchen, wet room, residents lounge with views towards the sea and offered with no onward chain. With lifts and stairs to all floors. Built in storgage cupbaird, security entry phone system and electric heater. Range of fitted base level, eye level and drawer units. Roll top work surfaces with single drainer stainless steel sink unit inset. Integrated electric oven, four ring electric hob, space for fridge and freezer, plumbing for washing machine. In addition there is also access to a laundry room on the first floor with washing machine, tumble dryer and ironing facilities. With double glazed window to rear, electric heater and built in wardrobe. With double glazed window to rear, two electric heaters, door leading to the kitchen. There are communal gardens around the grounds with views at the front of the sea over Frinton On Sea's prestigious greensward, To the rear of the building there is a parking area. This facility is available to all residents and we have been advised that there are also social events/entertainment that takes place at Frinton Lodge. Please be advised that there are emergency pull cords in all rooms, There is a House Manager available daily and there is also guest accommodation available, subjct to availability.